Q: What is required to purchase window coverings from The Right Track? A: Contact us through this website or call us at 800-872-2565, and we will put you in touch with an authorized Right Track Distributor. They will help you select the perfect window covering for your space and arrange for measurements and installation. Q: Does The Right Track manufacture their own products? A: We custom fabricate our window treatments for each client at our 15,000 sq ft facility in Crofton, Maryland. Q: Can The Right Track make draperies or top and side treatments? A: The Right Track specializes in shades, fabric panel track systems and motorized drapery tracks. We are not a drapery workroom and do not fabricate top or side treatments. Q: How can I control my window coverings from The Right Track? A: A wide variety of manual and motorized window covering controls are available depending upon the type of window treatment. See "Our Products" for further information. Q: Are window coverings from The Right Track compatible with my Home Automation System? 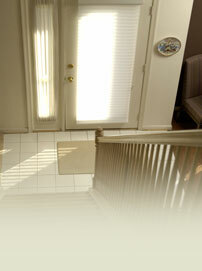 A: Motorized window treatments from The Right Track are compatible with just about any Home Automation System. Your Right Track Distributor can give you further details. Q: I've just bought some manual window treatments from another manufacturer and I want to have them motorized. Can The Right Track do that? A: Subject to suitability, The Right Track can retro-fit your manual shades with state-of-the-art motorization. An authorized Right Track Distributor can give you more details and arrange for shipping and installation. Q: Can The Right Track fabricate shades with fabric that I provide? A: Yes, in most cases. Contact us through this website or call us at 800-872-2565, and we will put you in touch with an authorized Right Track Distributor who can provide further details.